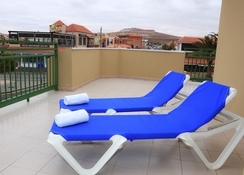 The Caleta Garden is located centrally on the island paradise of Fuerteventura, which offers relaxation, sports, restaurants, shopping centres and nocturnal entertainment. The apartment complex is perfect for families and couples alike. Caleta Garden has all the amenities necessary for unforgettable vacations such as a restaurant, bar, swimming pool and tennis court. 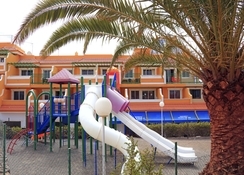 The Caleta Garden is close to the city centre, 400m from the beach, and approximately 7km from the airport. The hotel’s staff have a friendly and professional approach and often recommend and suggest the best local attractions, beaches and historical spots in that area. 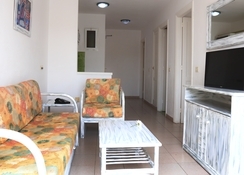 The Caleta Garden Apartments is set in Caleta de Fuste, Las Palmas, Spain. The Caleta de Fuste Beach, which is at a distance of 1.9km, is a must-visit place for beach lovers. Those who want to satisfy their luxury shopping needs can hit the Fuerteventura Atlantic Mall, which is about 2.1km. The Fuerteventura Airport is only 7km, making it convenient for the guests to board their flights on time. This marvellous hotel offers well-appointed apartments and studios to accommodate solo travellers, couples, families and group of friends. The apartments and studios are luxuriously furnished with spectacular views, which will make for a memorable stay. The guestrooms are fitted with all the necessary and luxury amenities including free Wi-Fi, microwave, fridge, fan, sofa bed, air conditioning, in-room service and much more. 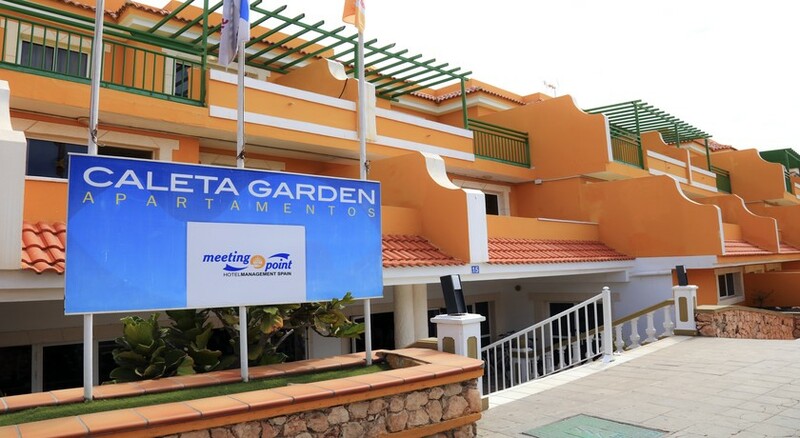 The Caleta Garden Apartments features an in-house restaurant and bar, where the guests can have breakfast, lunch, dinner, snack and alcoholic & non-alcoholic beverages. If you wish to explore the local cuisine, there are several restaurants and bars close to the hotel, which include Lord Neilson Bar, Oliver’s, Windmill Bar, Tarten Terrace, Indian Hut among others. Simultaneously, you can leverage the in-room food & beverage service provided by the hotel to have your meals in the comfort of your room. There are abundant sports and leisure facilities in and around the hotel to keep the guests engaged throughout the day. There is an outdoor swimming pool and a solarium that will help you relax and have endless fun in the sun. Sport facilities at the hotel include a tennis court, billiards, darts and may more. Kids too can have a lot of fun in the games area under the supervision of the hotel’s staff members. Golf lovers can tee off to Fuerteventura Golf Club, which is about 2.1km from the hotel. This is cheap and cheerful. I stayed here with 4 friends and we got a room upgrade so we had a better room. The food was average (pizza was the best) we payed next to nothing to stay here so you can’t really complain but if you go here expecting the world you will be disappointed. Most nights we ate out in the town as there are plenty of choices there. 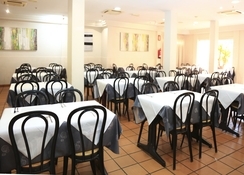 It’s nice and close to the beach and the staff were helpful and friendly. Great for the price, helpful friendly staff and the food was lovely. The decor was a little dated but fine. However extras like hairdryer, iron and TV etc are all at an extra hire cost. We stayed there for 4 nights in the suits near the beach , its wonderful, good food, good location and great beach near the hotel called Delta. how ever its a bit far from the airport and we managed to rent a car. But there is a bus stop right in front of the reception. All the swimming pools of the hotel were clean , nice with good view. Oh btw the rooms have air conditioners and newly renovated I think. All was fine. I enjoyed staying there. The only issue that happend we arrived late around 9:30 and it took time to get the room and check in as the receptionist was busy. But then they gave us a voucher to go to bar to have dinner. When we went to bar ot was 11:20. And the guy in the bar said its too late and we have nothing to offer. It was disappointing. Rest every thing else was good with the hotel. I highly recommend this hotel. Lovely short break. Great value.